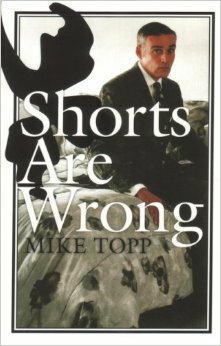 Poetry Month continues: Mike Topp! What’s he doing there? Is this a joke, or is it poem? What does he actually mean? It worked on so many levels I had no way to not be totally into it. I immediately went out and bought what books of his I could find. I don’t want to be right. His poetry is nothing like you’ve ever seen, and when you think you’ve got him figured out, he does something different, and you have to figure him out again. I say don’t even try to figure him out. Just dig it. I dropped a dish and broke it while listening to a record. So I just played the record backwards until the dish came back together again on the floor and hopped up into my hands.